Руководитель центра тибетской медицины «Жас-Ай» доктор медицинских наук, профессор, член Международной академии иглотерапии Жасан Зекейулы – яркое подтверждение того, что среди казахов, вернувшихся на историческую родину, много высококвалифицированных специалистов. В нынешнем году исполняется 70 лет боевому подвигу Героя Советского Союза Маншук Маметовой. В одном из последних разговоров с недавно ушедшим от нас известным поэтом Владимиром Гундаревым я сказал ему, что славу Великой Победы стяжали в кровопролитных сражениях люди, еще не ставшие героями произведений искусства. Гундарев признался, что эта тема его давно волнует, и согласился взяться за сбор мате­риалов о Маншук. A maternity and childhood welfare service is the heart of the social policy. 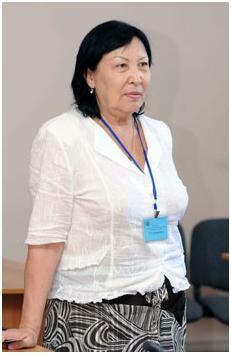 A honored leader of the RK, Professor, doctor of medical science, shief scientific officer of the Research Center of Obstetrics, Gynecology and Perinatology, Nina Kayupova is well-known in our country and over the sea. A laureate of the President’s Prize of Peace and Moral compliance, she continues to speak about necessity of proper attention to maternity and child welfare service. And in today’s interview the famous doctor, recognized Kazakhstan women symbol four years ago, once more shares her ideas regarding subject to which she has devoted her life. He was born in July 5, 1955 in Dzhambul village, Karasuisky region, Tashkent area of the UzSSR. The nationality is Kazakh. 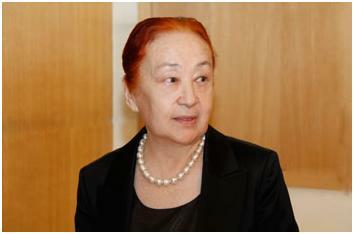 The father is Karim Alchinbayev, now deceased, mother – Aitkul Assauovna Alchinbayeva, retiree, she was a school teacher. 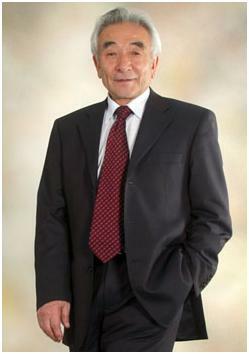 He has graduated the Faculty of Internal Medicine of the State Medical Institute of Almaty (1979), is a doctor. Candidate (1987) and doctor of medical science (1995). The doctoral thesis title “Diagnosis and new methods development in treatment of acute pyelonephritis”. Professor (since 1997), full member of Academy of medical and technical science of the RF (2007). 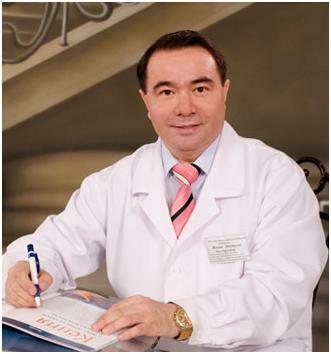 co-author of books “Urology” (Kazakh, 1999), “Urolithiasis” (2004), “Oil and uroandrological diseases” (2004), “Surgical treatment of congenital and acquired urinary obstruction in children” (2008). He is an author of 17 monographs, 534 scientific papers including guidelines, journal articles, dictionary, information and reference book, guidance manual. He owns 62 provisional patents, 13 innovation proposals, and 3 intellectual property registration certificates. Under his supervision 17 doctoral theses and 20 candidate theses were defended. A doctor has to learn for life-time. In the light of new policy line of Kazakhstan a massive improvement of the medical education system is one of the critical task of community. Every university with long history has its own face. And this is not only educational and scientific achievements. Every university bears its own energy and gold pool consisting of people thanks to which the university moves forward. A honored worker of science of the RK, Professor, Rector of the University from 1975 to 1987 who established the material and technical basis of the Kazakh National Medical University, Kuanysh Mubarakovich Maskeyev, has reached the age of 80 years. A sonorous conference with the participation of famous scientists, doctors, medical community was devoted to this date. Just two dates have recently mentioned in our university – Eightieth anniversary of the Department of microbiology, virology and immunology and the Eightieth birthday of the famous scientist, doctor-bacteriologist, Professor of this department — Albina Leonovna Kotova. She remains active, beautiful, intelligent, wise and humble, as her know hundreds of KazNMU graduates. She describes the department as a castle, where future physicians learn the profession becoming manly and strong. And all her life and professional experience are still needed, and thoughts that she shared in the days of the anniversary celebrations, were full of love for Microbiology and students, concern for science and medicine, and the belief that the medical profession would always be the most desired! Toregeldi Sharmanov is going to be 80 years, the person who does not require to be introduced. He prefers to refuse epithets and mentions of numerous regalia, that he has a great variety, on envy to any academician and the politician. In the Kazakh society people give the special meaningful names to the one who truly deserves. 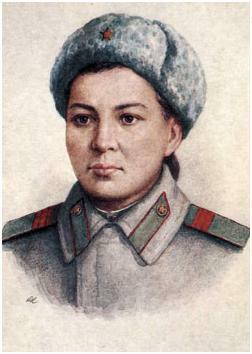 For Kazakhstaneze the name became as Toke for Toregeldi Sharmanov as a sincere sign of national respect and love.